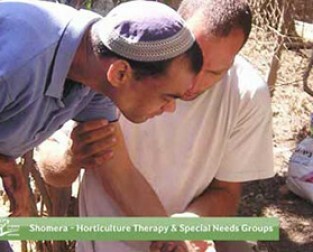 Shomera was one of the pioneers to bring organic gardening and permaculture to the general public and one of the original environmental organizations to teach horticulture therapy to special needs populations. Through individual and group work, gardening programs cultivated the environment and created pleasing, aesthetic, and healthy spaces. Participants experienced the land and begin to see themselves as partners in the natural cycle of life. Gardening and horticultural groups provide participants with the skills necessary to work independently in their own gardens, with the emphasis being on organic gardening. 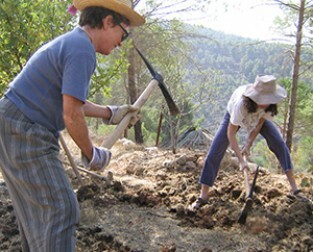 Shomera taught organic gardening at community centers, institutions in the Jerusalem area and at the Shomera Educational center in the Jerusalem Forest. Focusing on the theoretical and practical aspects of home and communal gardening. Participants worked together to design and cultivate plots full of herbs, vegetables and flowers. At the end of the program participants returned to their homes and communities with new skills to establish and maintain gardens, thus contributing to their own development, to their families and to their surroundings. 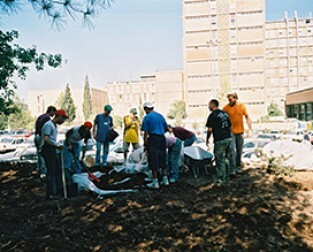 This program increased involvement in one’s neighborhood through shared activities to cultivate a neglected public space. The project transformed the garden into a center for communal enterprise and for children’s learning about nature and the environment. The garden and programs were then maintained and managed by program participants. 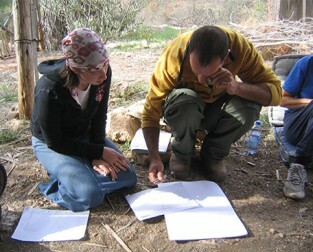 Over time, the need to reach out to people who were not able to visit the Shomera Educational Center led to the creation of educational outreach programming at schools (through both formal curriculum and informal extra-curricular activities), community centers, and public institutions. 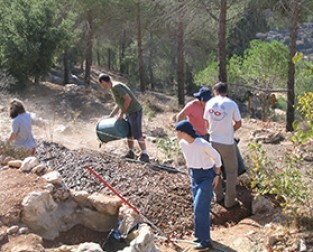 For example, we established Project Ace to help rehabilitate youth at risk from Har Nof who worked in the Shomera Educational Center, as well as in open spaces in the neighborhood of har Nof. This program was expanded to work with other youth at risk groups. Based on our successes, we established the Seeing from the Heart project (blind and sighted girls working in pairs) and today’s work in Gardening Therapy for special needs individuals at a variety of institutions. This horticulture therapy program targeted individuals with special needs (including the mentally challeged, blind, physically disabled, youth at risk, senior citizens). 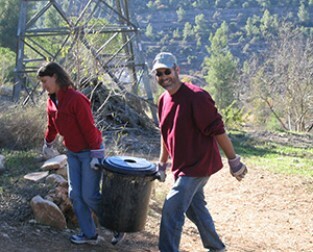 The activity enables the participants to contribute to the community through developing a public area. It placed the participants in the unique role of giver, while simultaneously improving their dexterity and self-confidence. Particular emphasis was placed on assessing the needs and interests of each participant and incorporating them into the group, such that plants, tools and pace of work are matched accordingly.